Today we’re setting up to sell at Westfest, just north of Waco. 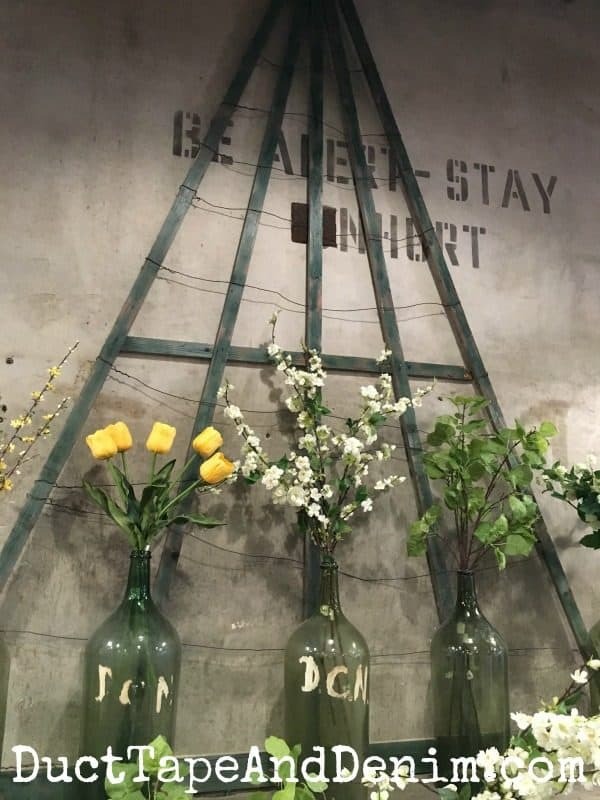 If you’re planning to come down to see us I thought I’d share my five favorite things at the Magnolia Silos so you can go on down to Waco for a visit. 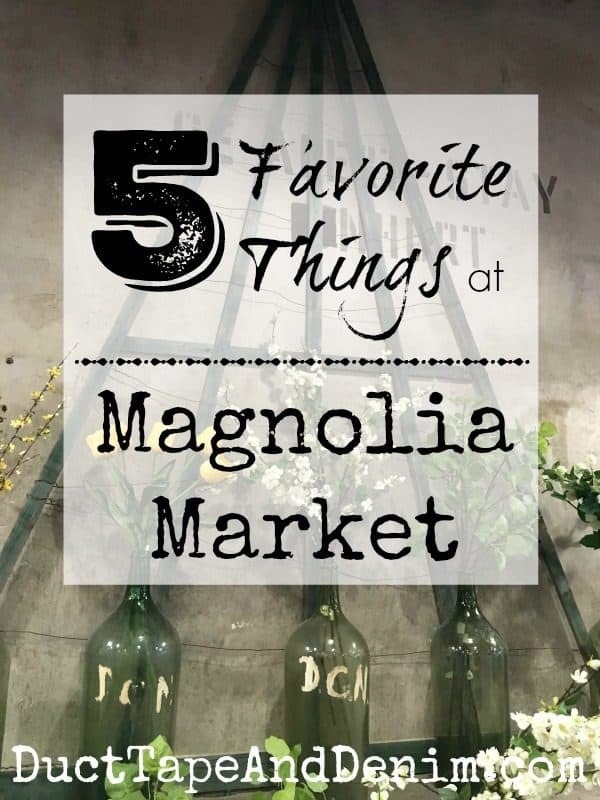 What are you favorite things at Magnolia Market? Number 5, T-shirts: I love the designs on these t-shirts. And they’re the super soft fabric that I love to wear. Which one would you buy? Here’s a few online if you can’t make it to the market. Number 4, Flowers: There were sooooooo many beautiful silk flowers for sale at the silos! It was inspiring just to walk around and see how they were displayed. I couldn’t pick just one favorite so I’m sharing THREE photos. Number 3, Fairy Gardens: Everything in the garden center at the silos was beautiful but these fairy gardens were especially precious! This tiny schoolhouse with the playground and bicycles was my favorite. 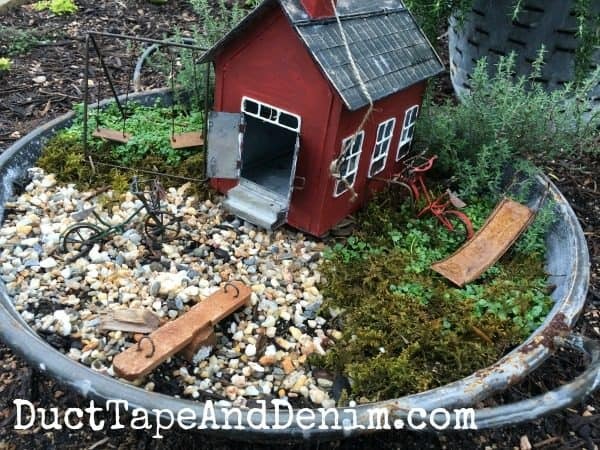 Number 2, Pig Feeder Planter: Maybe because I grew up on a pig farm but this was my favorite planter in the garden center! 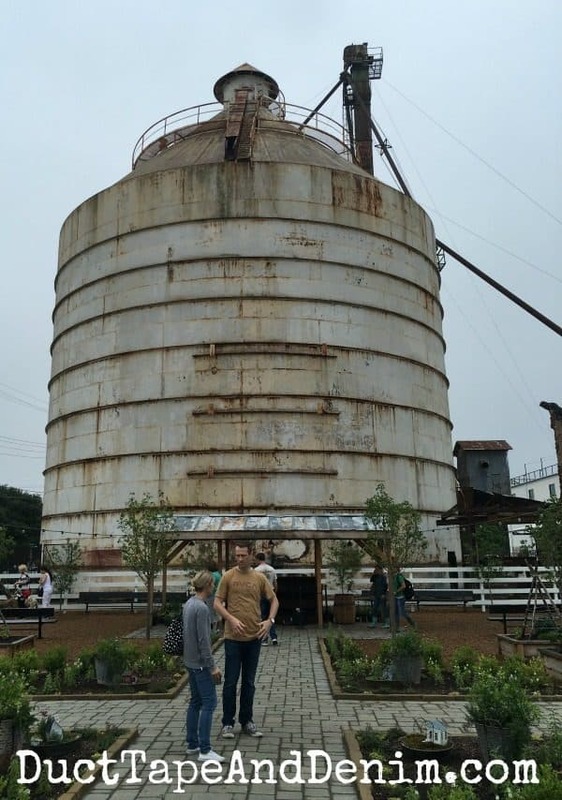 My Number 1 favorite thing at Magnolia Market… the silos, of course!!! I love that the Gaines’ left them the way they were. I like a little rust and these look perfect!!! Thanks for reading my blog! I’d love to hear from you. Leave a comment and let me know what are your favorite things at the Magnolia Silos. First published May 25, 2016. 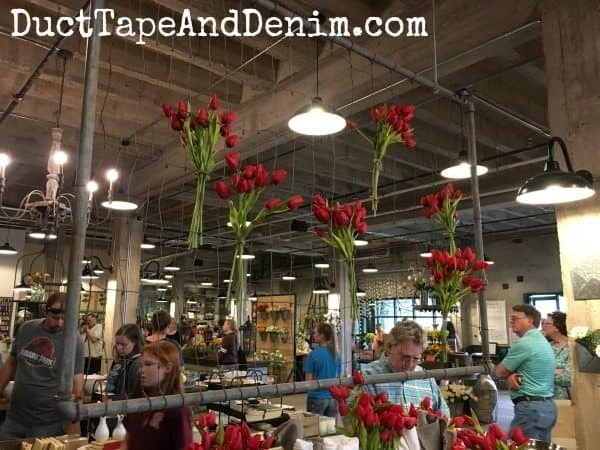 Ann, You are so lucky that you get to go and see everything at Magnolia Market. It would be quite a hike for me. 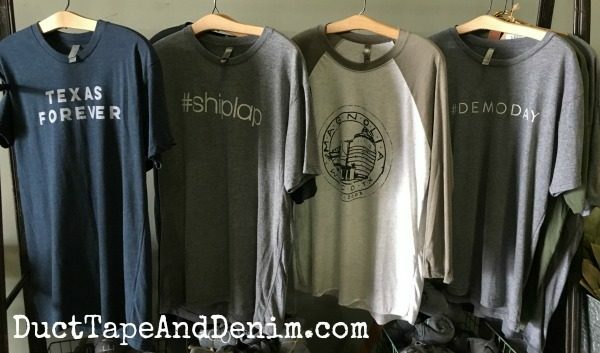 Having said that, I would HAVE to buy the #demoday t-shirt with a blog name like SledgehammerQueen, haha! 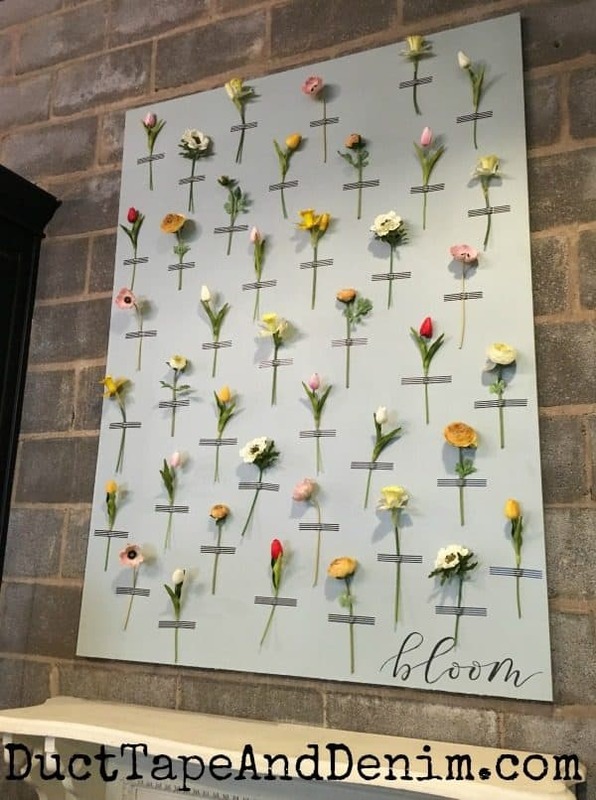 I am so wanting a road trip to Magnolia! I’m ordering my husband one of the #demoday tees for father’s day, since he is the Chip to my Joanna LOL I love this list! Thank you first for joining our link party and second for taking us inside the new market!! How fun. If I remember correctly you don’t live there you just love to visit, right? What a delight. That wall of single flowers was a stunner for me. Can’t wait until I get to visit, but until then I will live vicariously through you! 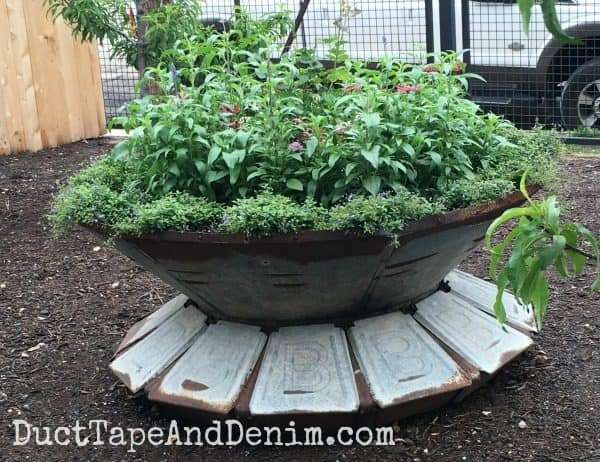 Love the pig feeder planter and would have had no idea that’s what it was. The #demoday tee is a close second as it seems it’s always demo day around here! Great Post, thanks for sharing!